New graphic using the pen tool, what do you think of it? Thank you so much, Pablo for the turorial!!! 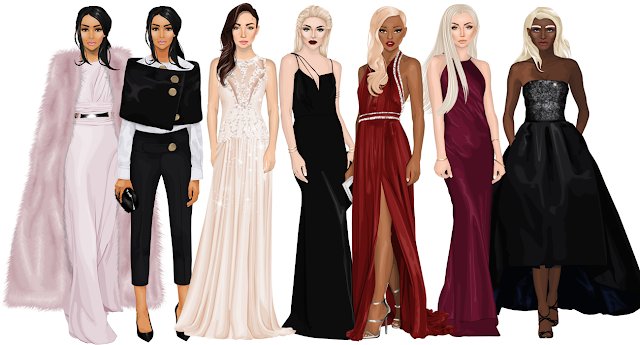 The collection was released on the very first day of the Stardoll Fashion Week hold by Alex. This collection was inspired by one of the most amazing actress and movie icon that is Audrey Hepburn. Every outfit, make up and hairstyles were inspired by her as I tried to show her essence in each one of them. The runway was also inspired by the actress, it was specially inspired by one of her movies, Funny Face (1957). The process for picking the models was extremely hard. I was determinate in working in 10 different outfits only and choosing a different model for each one of them. More than 40 models applied via Facebook, and from all of them, only 14 were left, but the hardest part was to decide who is in and who is out. I wanted to choose the correct faces and I've finally found my 10 models who are shown below in the collection.